Do you own property in Teton County? Please complete our landowner permission form so we can continue to provide mosquito service(s) on your property. Stay informed! Would you like to know when we will be in your area this summer spraying for adult mosquitoes by truck? Sign up for our NEW text alert system! Learning how to use EDDMapS West can be a rewarding volunteer opportunity for Teton County’s outdoor enthusiasts to help the Weed & Pest District locate high priority invasive plants. This program is designed to increase Early Detection/Rapid Response (EDRR) weed management efforts by helping local volunteers to identify and survey for twelve high-priority noxious weed species. These 12 species are: saltcedar, leafy spurge, Dyer’s woad, common St. Johns wort, rush skeletonweed, oxeye daisy, common tansy, whitetop, Dalmatian toadflax, yellow toadflax, spotted knapweed, and field bindweed. The first four listed are the highest priority and volunteers are asked to report them anywhere in Teton County. The remaining eight species are more common and will only be reported if found 50 feet beyond roadsides and ½ mile beyond trailheads. Teton County Weed and Pest (TCWP) maintains an extensive mapping database of weeds present on roadsides and trailheads because most of these species are transported by human activities. Learn to ID these species here! The volunteers will use the EDDMapS West website and mobile application for reporting of the targeted species. EDDMapS West was originally developed and launched for the six Missouri River Watershed Coalition headwater states of Colorado, Montana, Nebraska, North Dakota, South Dakota, and Wyoming in September 2010. Thanks to tremendous interest throughout the West, and support from the Montana Noxious Weed Trust Fund and the US Forest Service – State and Private Forestry Program, the system quickly expanded to include seven additional western states (Idaho, Kansas, Missouri, Nevada, Oregon, Utah, and Washington) in 2011. This project will continue to protect habitat by using the EDRR method for responding to noxious weed infestations while there is a high potential for eradication. Native and desirable plant communities will benefit from reduced competition from invasives to help maintain ecosystem function thus allowing for a more optimal carrying capacity for wildlife. Because of this cooperative effort, volunteers will help TCWP stay ahead of the spread of invasive species in Teton County. Learn more here! We’d love to see pictures of the way you PLAY in this beautiful area. Let’s connect and share our love of #JacksonHole and how we #PlayCleanGo to protect it for future generations! You can also join for some fun events happening around the area! Check out our Events Calendar! 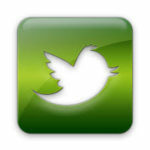 So what is the big deal about certified weed free forage? Prevention is the most economical and proactive method of controlling invasive species by never letting them into this area in the first place. “Feed Weed Free” and “Play, Clean, Go” are the two best ways you can prevent the spread of invasive species. Invasive species cost the United States billions of dollars annually, so an ounce of prevention truly is worth a pound of cure. Thankfully the citizens of Teton County had the foresight to support the Weed and Pest District Board’s Hay Quarantine in 1988 (W.S. 11-5-116 and W.S. 11-5-117). This quarantine restricts the entry of non-certified hay or straw into Teton County. The hay quarantine was put into effect to control the entry of infested farm products through implementing a certification program. Certified weed free forage products include: straw, alfalfa/grass hay, forage pellets/cubes, alfalfa hay, grain hay, and grass hay. This act has protected thousands of acres of wildlife habitat in our backcountry and our backyards over the last 27 years. Without it, Teton County would be a very different place today. Do you need to find where to purchase Certified Weed Free Forage in Teton County? For large quantities, please call Teton County Weed & Pest office at 307-733-8419 Tuesday – Friday 7:30 a.m. to 5:30 p.m. to get information on local growers. Small quantities of alfalfa and grass bales, cubes, and straw can be purchased at Flat Creek Saddle Shop, Jackson Hole Feed & Pet and Big R sells only certified hay cubes. Make sure that any hay you purchase has one strand of yellow and purple twine or a tag on each bale to ensure that it is certified. We’ll see you at the Teton County Fair! Jackson, Wyoming – Making the decision to buy and plant native species means that you are also deciding not to buy or plant non-native, possibly even invasive species! Native plants are adapted to the combination of soil type, temperature, nutrients, and rain/snowfall of northwest Wyoming. Once established, they require very little such as: additional water, fertilizer, pesticides, or other chemicals. Even in planned landscapes around homes, commercial developments, or roadsides, native plants require fewer resources. The use of native plants in a garden or landscape can provide economic benefits by a reduction in energy costs, water, and maintenance; ecological benefits by enhancing ecosystem stability and reducing chemical use; and aesthetic benefits with the natural beauty native plants provide. Many of the invasive plant flowers are so pretty that they are commonly mistaken as an innocent wildflower. The more exotic plants we cultivate in our yards and gardens, the higher the chance of those plants escaping into the ecosystem and achieving invasive status. Preventing invasive species from being planted in the first place is the cheapest and most effective way to keep them out. So how do we do this? What can each and every one of us do to prevent invasive species from being planted here and moved from place to place? We can Buy Clean, Plant Clean! All of us can protect Teton County and Wyoming for future generations! Enjoy gardening this summer and remember to, Buy Clean, Plant Clean! The Teton County Weed and Pest District board voted for an emergency declaration of Austrian fieldcress during their board meeting on Tuesday, June 30. The emergency declaration will allow treatment of the invader during this growing season. The emergency declaration was approved by the Director of the Wyoming Department of Agriculture on July 1. While prevention is the first line of defense, it is impossible to stop all invasive species. This is when Early Detection, Rapid Response (EDRR) plays a major role in the process of stopping the new invader. Early detection followed by quick control efforts greatly reduces long term impacts and increases the chance of complete eradication which is TCWP’s goal. 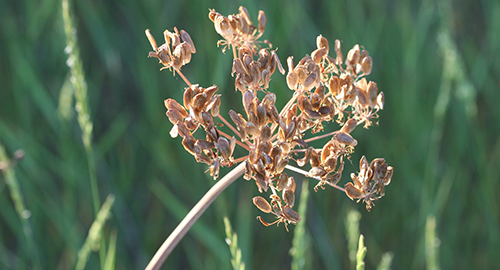 “Eradication is the goal for all of our priority one noxious weeds therefore we have a full time staff member dedicated to this effort,” stated Erika Edmiston – TCWP Supervisor. “Stopping invasive species before they have a chance to become established is the most cost effective means of control”. Austrian fieldcress was found north of town near the Snake River. Austrian fieldcress is a very competitive perennial mustard species that typically grows in wet areas. We are seeing spread primarily by seeds but they also reproduce vegetatively through creeping roots and detached root fragments. Flowers are in loose clusters at the tips of branches with 4 small yellow petals. The plant will grow up to 3 feet tall with alternate serrated leaves along the stems. To learn more about local invasive species please call (307)733-8419. TCWP’s mosquito program carries gold membership in pesticide environmental stewardship! Teton County Weed & Pest District’s mosquito program is living up to its mission by providing superior noxious weed and pest control in Teton County, through environmentally sound integrated management practices and education. The District recently was recognized for its membership in the Gold Tier of the EPA’s Pesticide Environmental Stewardship Program (PESP) since 2007. The EPA’s website states the “gold membership is reserved for PESP’s outstanding environmental stewards”. Marta Iwaseczko, Assistant Supervisor, has put in countless hours making the mission a reality by reducing pesticide risk through integrated mosquito management techniques. “This goal is not to be confused with eliminating pesticide use. It is strictly about being more deliberate and mindful in our use of pesticides. The more we know about the target species, the better enabled we are to take advantage of their particular vulnerabilities,” states Iwaseczko. A prime example of this approach is the program’s focus on the use of Bacillus thuringiensis israelensis (Bti) for controlling mosquito larvae. “This ubiquitous soil bacterium generates proteins that are toxic to a very small subset of flies, including mosquitoes, which have receptors for these toxins in their gut walls. A mosquito larva ingests these proteins, loses gut wall integrity and dies, while most of the other organisms sharing its habitat go unharmed,” she explains. PESP is a voluntary membership program that promotes the adoption of innovative, alternative pest control practices such as Integrated Pest Management (IPM). PESP originated from the Environmental Protection Agency (EPA) in 1994 and has since partnered with the American Mosquito Control Association (AMCA) to help reach their goal of reducing pesticide risk throughout the Unites States. To achieve a PESP membership, one must present an integrated pest management program outline, which is reviewed, commented, and voted on by the AMCA committee and then annual reports are submitted to the EPA on activities performed. The outline includes mosquito surveillance to determine if control is needed, removal of mosquito habitats when possible, biological control, larviciding, adulticiding, and education of the membership and general public. While pesticides remain a very important tool for protecting the public from West Nile Virus and knocking back invasives species that have the ability to infest our native ecosystem, this is one example of how the District is working to reduce pesticide risk in Teton County. For more information on the District’s stewardship efforts visit www.tcweed.org/Eco-Stewardship.php. Jackson, WY – Quagga mussel veligers (microscopic juvenile quagga mussels) are on the move and have been detected in Deer Creek Reservoir in north-central Utah. Soon after, a single zebra mussel was found in South Dakota at a boat dock in Lewis & Clark Lake and a quagga mussel was found in Angostura Reservoir in southwestern South Dakota. They are wandering uncomfortably close to our Wyoming borders. The zebra and quagga mussels are believed to have been transported by a recreational boat from the heavily infested waters of the Lower Colorado River system. Wyoming’s mostly pristine waters have very few aquatic invaders and professionals in the invasive species field are working hard to prevent their introduction through educational efforts and port of entry boat inspection stations administered by the Wyoming Game and Fish Department’s Drain, Clean, Dry program. Why are these critters such a concern? By filtering plankton out of the water, invasive mussels deprive native species of a food source critical for survival. This competition at the bottom of the food chain, in turn negatively affects recreational fishing. Further, zebra and quagga mussels attach to hard surfaces, clogging water intake structures such as municipal water systems, hydroelectric power, irrigation systems and even your boats cooling system. The increase in maintenance costs for water treatment and power generation facilities can easily reach into millions of dollars. Lastly, shorelines are degraded for recreational and other purposes by these species due to a foul odor that is produced by their decay and the presence of sharp edges that can cut skin. Taking to the water? 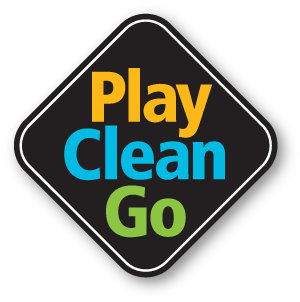 You can still apply the Play, Clean, Go concept by remembering to Drain, Clean, Dry your boat and all types of recreational gear that comes into contact with the water to prevent mussels from hitching a ride back home with you. 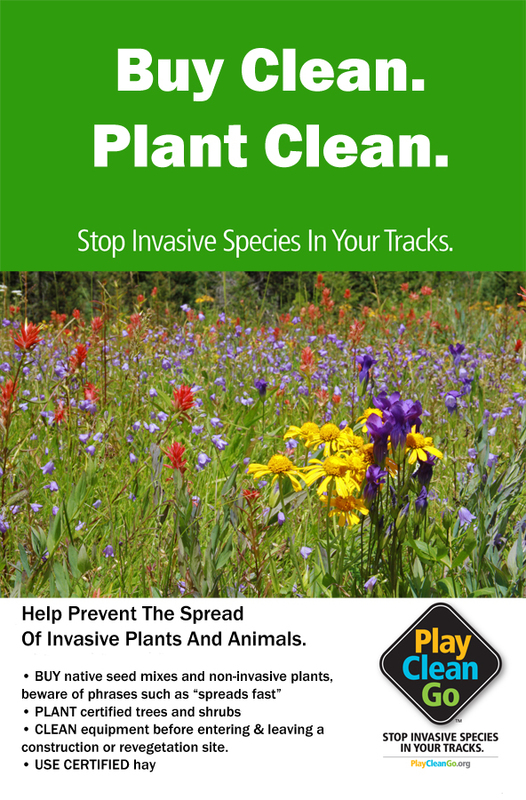 For more information visit wyoweed.org and Stop Invasive Species In Your Tracks!